If you’ve already mastered the basics of fencing, then this is the program for you! 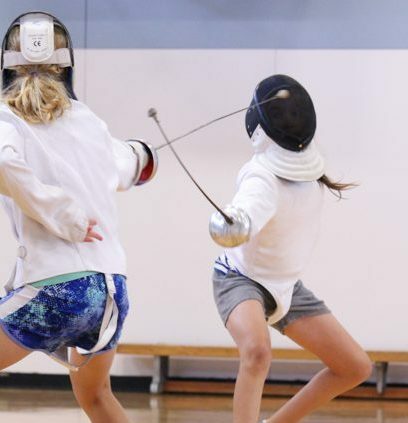 The camp is designed for students who have previously participated in an introductory fencing program or those older children who have a more developed skill set. In addition to a variety of recreational games and activities that cover the basic skills of balance, co-ordination and reaction speed, students will focus more intensely on advanced defensive techniques, reaction speed improvement, whole-body fitness, and combat psychology improvements (such as developing self-confidence under pressure). Students will be grouped by age & experience. Protective clothing and equipment will be provided. This camp is ideal for campers with little or no previous experience with fencing. Students will participate in a variety of recreational games and activities intended to develop their balance, co-ordination and reaction speed.